Room Dividers Make Remarkably Functional Rooms? As often as possible, we like to show you how amazing Screenflex Room Dividers look when you set them up. 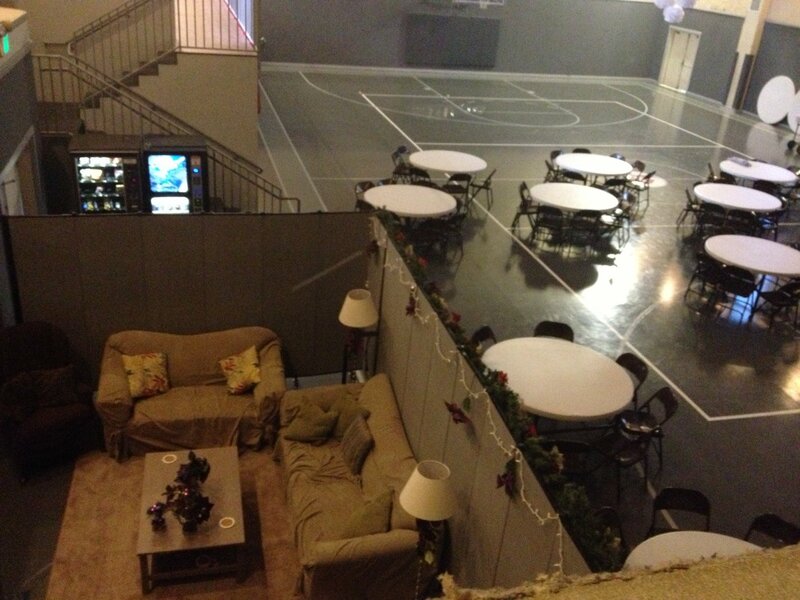 Create temporary rooms anywhere you need them. Gymnasiums, church fellowship halls, classrooms, airports, offices and more, look great in action and transforms a spacious area into smaller functional rooms. One room divider for many uses. A huge thank you goes out to Assembly of God Calvary for sending us these great before and after photos. It is truly remarkable to see the transformation of this gymnasium. I especially love the before and after photos showing the white lattice as storage and after with Screenflex Room Dividers as storage as well as other uses in the gym. Great photos! Lets take a look at these great before an after photos! Original lattice used to cover gym equipment is now replaced with Screenflex Room Dividers. 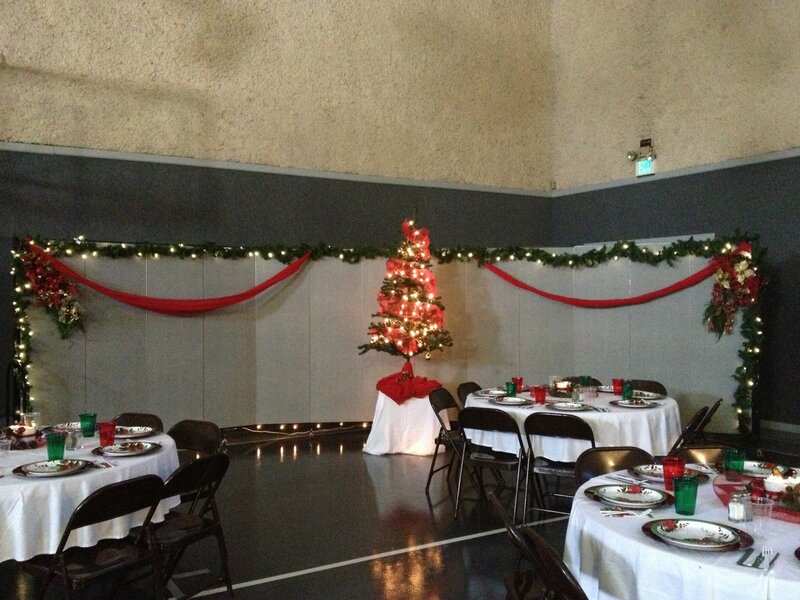 Decorated Room Dividers create a great privacy wall for Christmas banquet. Visually blocks the exit to keep distractions to a minimum. Room Dividers can create a cozy spot even in the middle of a very large space. Room dividers for dinner events work to provide a path for traffic control. Checking in at church events. 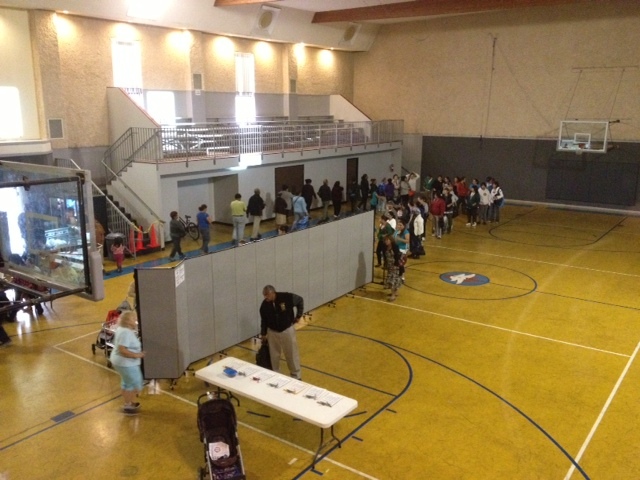 One room divider provides a nice organized line to guide patrons. 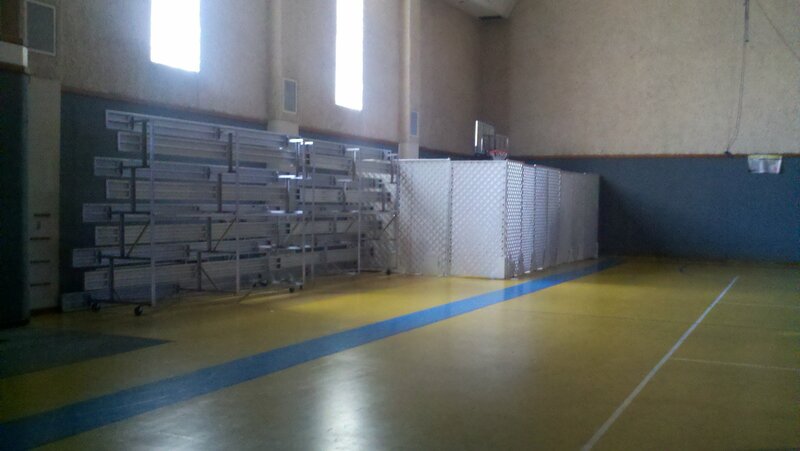 Before getting Screenflex Dividers, we used old rickety lattice to cover up stuff when we had events in our church gym. This year, we have spent considerable time revamping the gym, including resurfacing the floor, painting walls & replacing the lattice with Screenflex Dividers. Here is a before picture of the lattice hiding our “junk” and some after pictures of our Christmas banquet this past weekend. Hard to believe it’s the same space! We also use a 5 panel connected to a 7 panel to block off an area for a homey “cafe”, and when they are not decorated for events, we use them to help sort lines during our food bank nights. These are so much easier to use than lattice! Thank you for a great product! These tackable, sound absorbing dividers easily roll into place, unfold accordion style, and can be set up in any configuration as needed. With more than 1.4 million panels in use today, Screenflex is a proven leader in the industry. Choose from 6 heights and 6 lengths and a variety of color fabrics and vinyl options to complement your facility. What's Causing Declining Attendance In Sunday School? 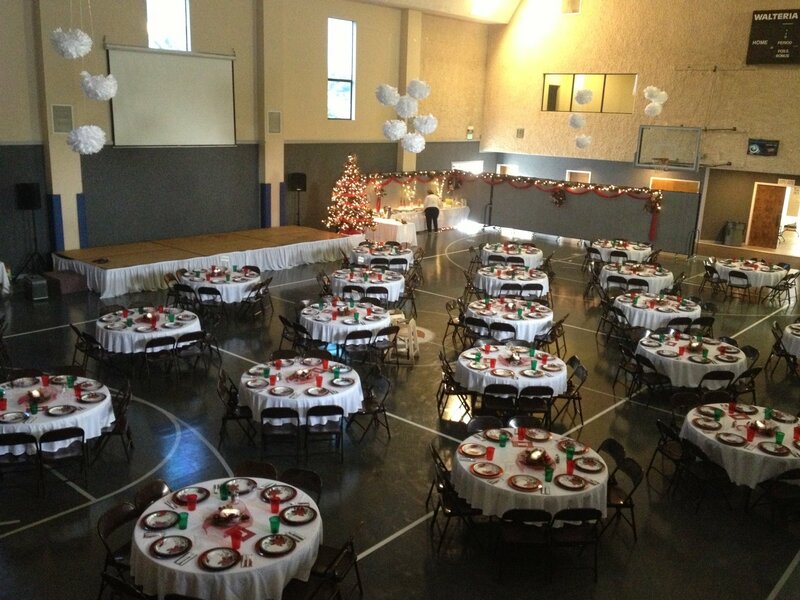 Can Church Room Dividers Improve The Functionality Of Your Church?